We get it. Although fundraising is worthwhile work and a deeply satisfying endeavor, it’s not the easiest job in the world. When looking for donors, it sometimes feels like you’re losing a game of hide and seek. You know the donors are out there, but you can’t find them. This guide is going to equip you with the tools to yell “olly olly oxen free” and reveal all the donors you’ve been looking for who have been right under your nose. Keep the doors to various giving levels open. Seek assistance from your board. Make your organization’s web presence a priority. Expand your outreach using social media. With the five pieces of advice below, you’ll be ready to locate and secure gifts from qualified new donors in no time! Let’s dive right into the first tip. Prospect screenings are associated with acquisition but tend to be discussed in terms of better getting to know the prospects you have, so you can increase your chances of securing a donation. Previous donations to your nonprofit. Personal information (i.e. hobbies, interests, and habits). 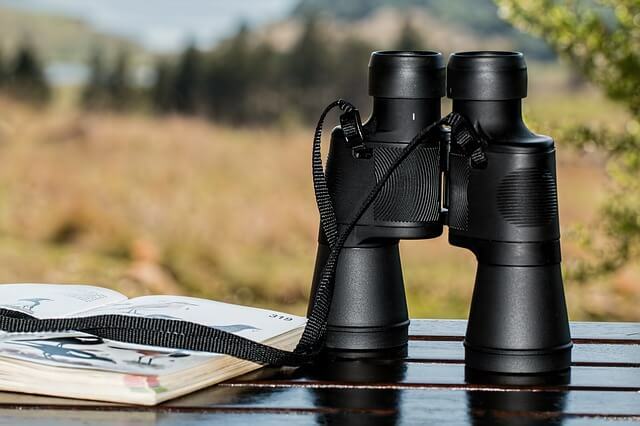 Getting a more complete picture of your donors is just one of the many benefits of prospect research, but the perks don’t stop there. 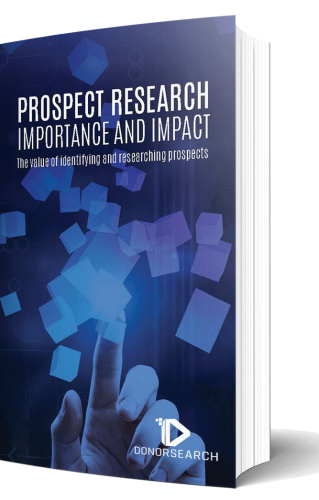 Use prospect research to investigate the annual giving reports of similar organizations to yours. The best prospects are those who are open to giving and interested in your cause. When you find new donors through an annual giving report of a similar organization, those candidates are better qualified than most. You’re one step closer to securing funding before you even begin the cultivation process. Additionally, you can gain new donors and connections through relationship mapping. By looking at the connections of your current donors (think: board members, major donors, etc. ), you’ll be able to reach out to prospects using their existing relationships. When a friend or loved one encourages a prospect to support a cause they’re passionate about, the person is more likely to get involved or contribute. If you’d like a little help with investigating annual reports, your efforts can be aided by a prospect research tool, like DonorSearch’s prospect generator tool. 2. Keep the doors to various giving levels open. They say that when one door closes, another one opens. And while the sentiment from that famous quote is moving and inspirational, wouldn’t it be nice if you didn’t have to spend your time looking for the next open door, but, instead, you had a collection of open doors right in front of you? That’s the kind of opportunity you need to present to your prospects so that you can gain new donors. It’s easy to screen a prospect, see their giving history and financial situation, and instantly tag them as a major giving candidate. While that donor might indeed be interested in following that giving path, if the donor doesn’t want that, your organization needs to have other opportunities ready to go. For instance, planned giving might be a good alternative. Your prospect could still give a sizable donation, but it wouldn’t be an immediate gift. In contrast, why not ask prospects to join your membership program? Not only will you receive constant donations in the form of membership fees, but the supporter will gain many advantages like discounted event tickets, exclusive merchandise, and whatever else your membership program offers. Of course, before you can lead these prospects to your membership program, it’s important that you have a simple application process. When you make it easy for supporters to apply for you program, they’re much more likely to do so. Similarly, if you are only marketing for small gifts, you are less likely to secure major donations. Your organization requires a diverse pool of donors and gift types to succeed. Ensure that you are making those giving varieties known to new donors. 3. Seek assistance from your board. Your board does many great things for your nonprofit. Of that you can be certain, but are you certain that you are utilizing the members to their fullest capabilities? Board members can be strong assets in your search for new donors. Your board does not exist in a vacuum. Each member has his or her life, friends, and business contacts. Ask your board members to make some key introductions for you so that you can find new donors. When a prospect is already connected to a board member, that tie will help instill trust in your organization from the get-go. Think of the board member’s involvement in your organization as a verification of sorts. A prospect might be on the fence about donating, but become more open to the possibility because a close friend is a big enough supporter to hold a seat on your board. You’ll be using peer pressure for good! 4. Get by with a little help from your friends. This fourth tip is similar in nature to the previous one. Your board is very helpful and valuable, but there are only so many seats at the table. Due to the relative scarcity of your board members, their Rolodexes can only get you so far. You need to broaden the scope of your search. To do so, let me ask you a question. Do you have a built-in collection of contacts, each with their own impressive network? Yes! The answer is yes. Of course you do. You have your existing donor pool. That pool is brimming with ties to potential new donors. Using your donors’ connections is an effective way to gain even more supporters for your cause, and one of the easiest ways to do this is through peer-to-peer fundraising. With 43% of millienials giving to nonprofits through peer-to-peer campaigns, it’s not only simple, but also an effective way to scope out potential prospects. Essentially, peer-to-peer fundraising works very similar to a crowdfunding campaign, but instead of your organization fundraising, your supporters ask their networks to contribute. Participants will create their own fundraising pages (from templates that your organization provides), set a goal, and start fundraising for your cause. To guide you, you might want to perform a screening of your existing donors to find those with the most ideal contacts to leverage. In a similar vein to peer-to-peer fundraising, crowdfunding can also help organizations reach new supporters with their existing donors’ support. With crowdfunding, your organizations will create a single fundraising page instead of having individual pages for each supporter. Your organization’s donors can use social sharing to reach out to their networks to contribute to your cause. When you create a crowdfunding campaign and ask loyal donors to be fundraising ambassadors to your nonprofit, you are organically developing your network of possible new donors. If you’re already working with one of DonorSearch’s many CRM and fundraising software partners, there’s a good chance peer-to-peer fundraising tools are built into your core software. But if you need help picking the perfect platform, check out Double the Donation’s list of top crowdfunding websites, which provides a great overview of the different options available to nonprofits and individuals. 5. Make your organization’s web presence a priority. People spend much of their time on the internet now. It’s how they pick restaurants and talk with friends. It’s the way of the present, and it will be the way of the future. If your organization wants a seamless method to reach new donors, it has to have a solid web presence. Develop your social media accounts. Funnel new contacts into email streams. One of the challenges that comes with online donor acquisition is figuring out which internet activities are the ones generating donations. You can help determine that by studying your fundraising success metrics to see what is working and what is not. Additionally, you want to find ways to move interested donors from the website scanning phase to the donating phase. When you send out social media posts and add news to your website, ensure that you are including calls-to-action that capture your prospects’ emails. Then you can send out email streams with the intention of building your relationships and eventually securing gifts and the new donors that come along with those gifts. Keep supporters updated on current projects. Share testimonials from the people and communities you serve. Highlight donors that went above and beyond to support your mission. Post important information related to your cause. Organizations should also vary their posts so they include video and images in the mix to attract people’s attention. Another acquisition best practice is to encourage your supporters to share and re-tweet your posts. That way, your content will reach even more people. Think about it this way: when donors post about your organization on their newsfeeds, it might spark their friends and loved ones to learn more about your mission and potentially support your cause. As you can see, the key takeaway here is to be vigilant in your acquisition strategizing and to diversify your approach. While you won’t find all your donors in one place, you can make the process far easier on your organization and your team.